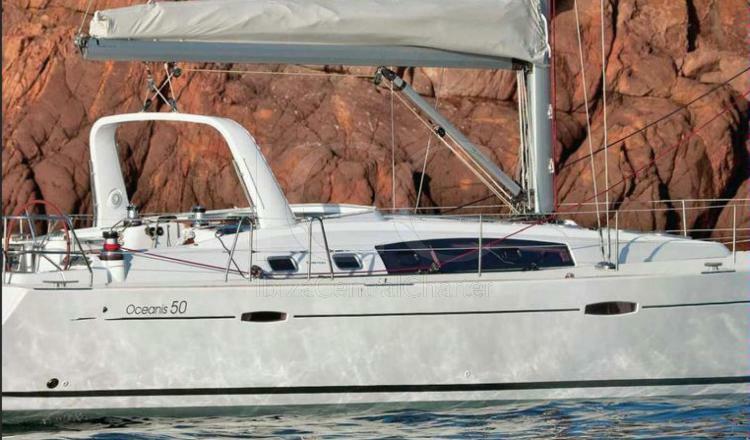 This Beneteau 50 is truly amazing and a benchmark for all lovers of the sailing world. 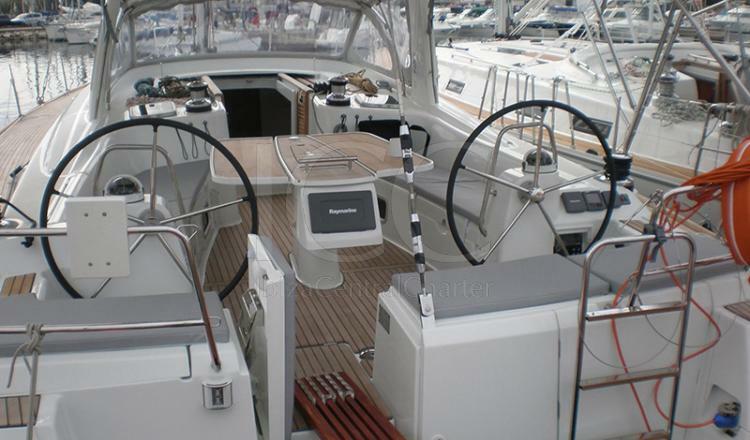 The Beneteau Oceanis 50 is a classic sailboat of 15.10 meters of length and more than 4 meters of beam. It has a fluid and seductive aesthetic and excellent marine qualities. 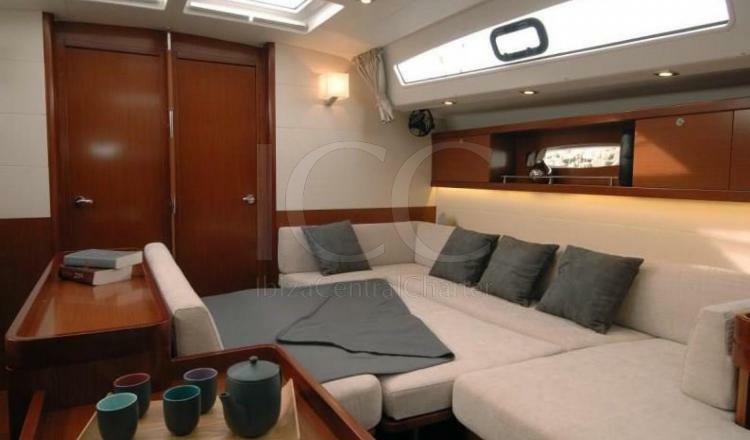 Its interior stands out for the luminosity, comfort and well-being on board. 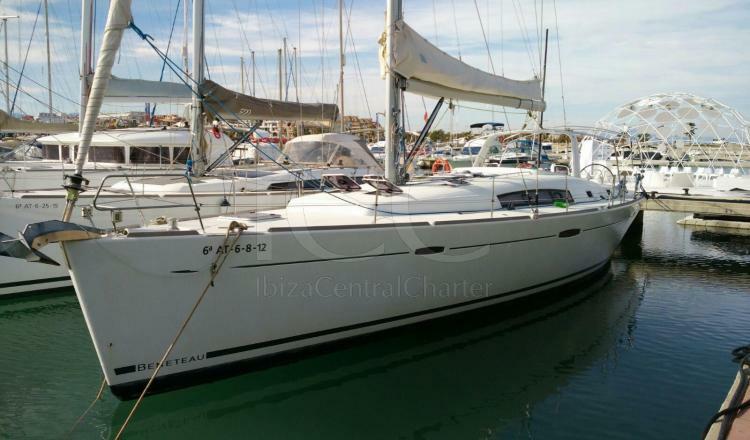 It has all the amenities to navigate between Ibiza and Formentera at race pace or if you prefer in a relaxed and relaxed holiday mode. 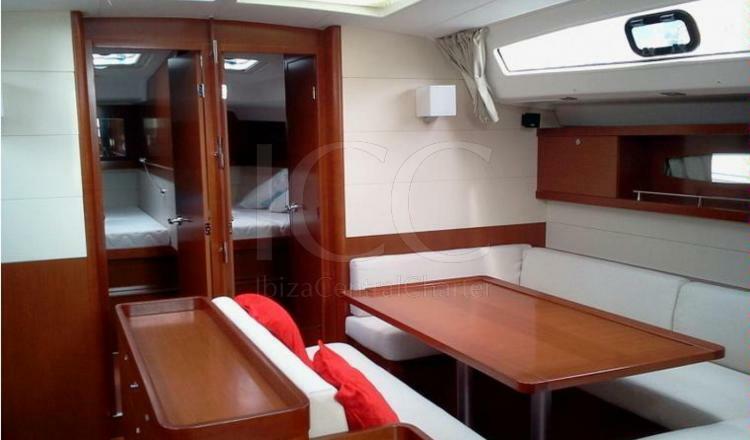 Its teak wood deck gives it an image of glamor worthy of Ibiza and inside it a beautifully decorated living / dining room that gives a sensation of unusual spaciousness in the sailboats. 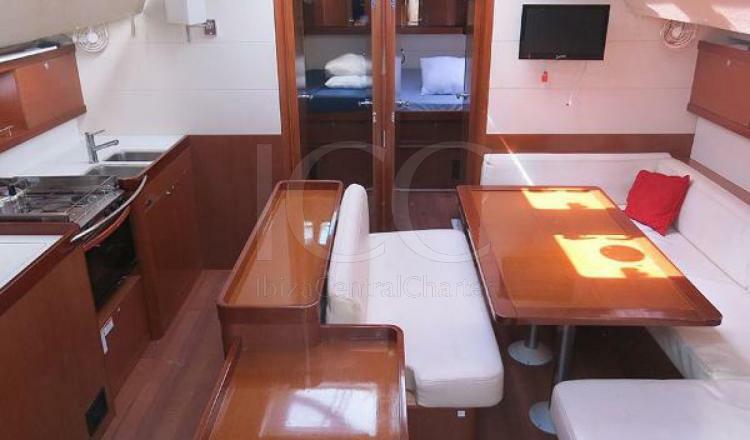 It has a fully equipped kitchen (fridge, oven and sink), five double cabins and two of them with private bathrooms that ensure the much needed privacy after spending several days on board. Outside you can enjoy a solarium to relax and sunbathe and an outdoor terrace with comfortable seats and a folding table ideal to enjoy a meal with spectacular views or a dinner watching the stars. 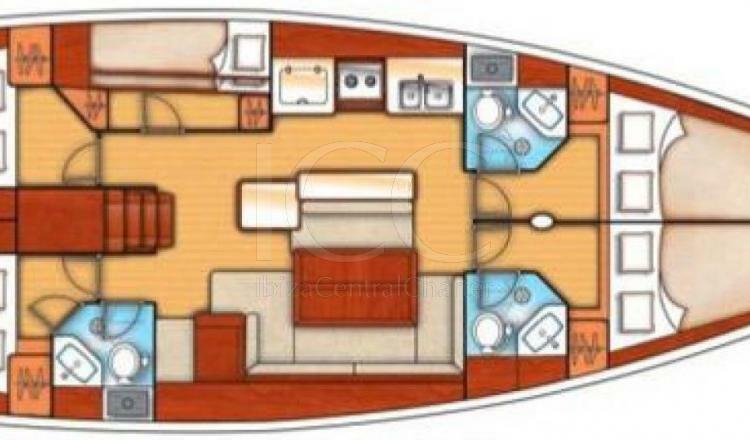 With a capacity of up to 12 guests both at night and during a day of charter, this sailboat gets its passengers to discover a new nautical universe. 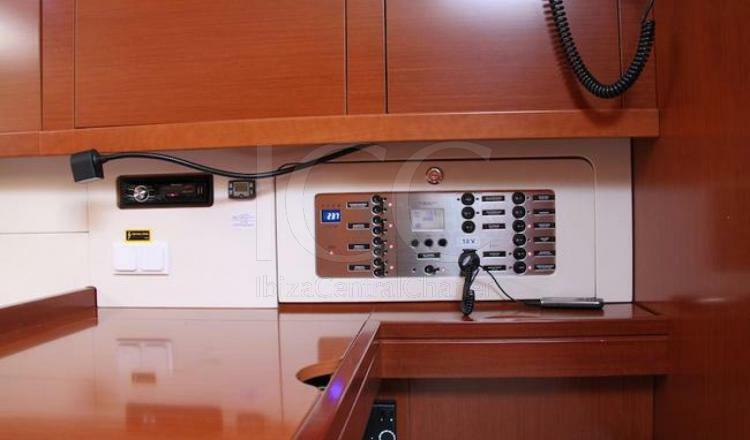 - Pack Comfort: final cleaning, sheets, towels and motor boating: 350€/week. 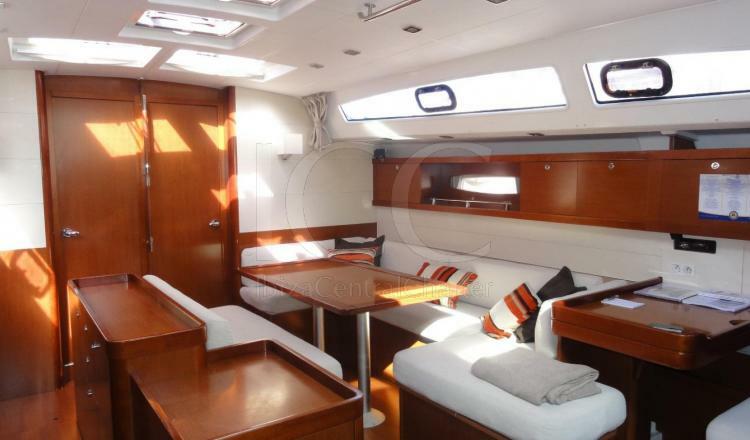 - Sailor: 150€/day or 1050€/week + meals. Deposit (without patron): 2000€ in cash or credit card. - Low season (29/12 to 30/03 and 26/10 to 29/12): To consult. - The weeks are organized from Saturday to Saturday. - The check-in time is Saturday at 4:00 p.m. and departure on the following Saturday before 9:00 a.m.
** The price of the skipper is included in the Day Charter.